Some plants are easier to grow than others. Easy growing vegetables are abundant in Texas, but one in particular is easy to grow and a common item in our diets. 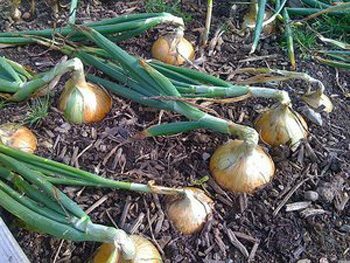 Onions are an easy to grow cold season crop because of their hardiness. Start planting onions early in the spring and harvest in the fall after their tops begin to turn yellow and fall over. Onions roots grow shallow and not efficient at soaking up moisture, therefore they need regular watering to grow efficiently. 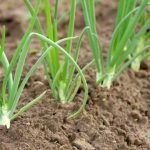 Onions can recover from drought and start growing again when watered. 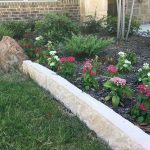 Maintain soil’s moisture consistency and water when needed. Onions grow best in full sunlight and well-drained soils. Work the garden soil only when it is dry enough to work the soil 8 to 10 inches deep.Remove all debris from the soil; then break up the remaining clods and rake the soil smooth. Planting – Onions are a cool season crop and withstand temperatures well below freezing. 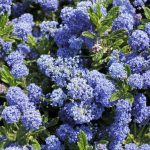 They may be planted from seeds, or from small bulbs called sets. When seeding onions for bulbs, plant them a quarter inch deep into soil during the late fall. Place the seeds 1 inch apart. When the plants are about 6 inches high, thin them to one plant every 2 to 3 inches. Eat the extra plants as green onions. 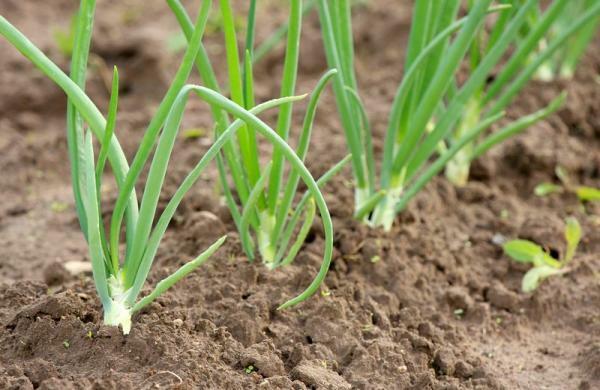 Like any other plants, onions grow best when the garden soil is fertilized correctly. Measure and spread the fertilizer; then mix it with the top 3 to 4 inches of soil. Spread 2 to 3 pounds of a fertilizer over a 100-square-feet of garden area to start. Watering once a week usually is enough in the spring. However you may need to water more often during dry, windy weather. Water onions slowly and deeply to help grow strong, healthy roots. Weeds are easy to pull or cut when they are 3 to 4 inches tall. Do not let weeds or grasses grow large because they compete with onions for nutrients. If you use a hoe to remove weeds and grass, do not chop too deeply. You may be cutting the onion roots. Pull all weeds by hand when possible. When the onion plants have 5 to 6 leaves, apply fertilizer again to help grow larger plants and bigger bulbs. Each leaf forms a ring in the onion bulb. More leaves means more rings and larger bulbs. Insects are not too common with onions, however, thrips, which are very tiny insects, may be found between the center leaves.Many insecticides are available at garden centers can treat thrips. Diseases may be a problem on onions. Brown leaf tips or brown spots on the middle and lower parts of leaves may be caused by plant diseases. 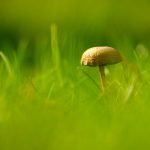 Sulfur also has fungicidal properties and helps control many diseases. Neem oil and other fungicides are also available. Before using a pesticide. Always read the product label warnings and follow directions. Onions seeded in late fall or transplanted in early winter should produce bulbs in the beginning of summer. For green onions, they may be picked from the time they are pencil size until they begin to form bulbs. Dry bulb onions need more time for the plants grow larger. The onions are ready when the main stem begins to get weak and fall Pull the plants out of the soil. Leave them lying in the garden for 1 to 2 days to dry. Then remove the tops and roots and let them keep drying in baskets or boxes.Store onions in a refrigerator crisper or in a dry, airy place such as in a wire net in the garage would be ideal.